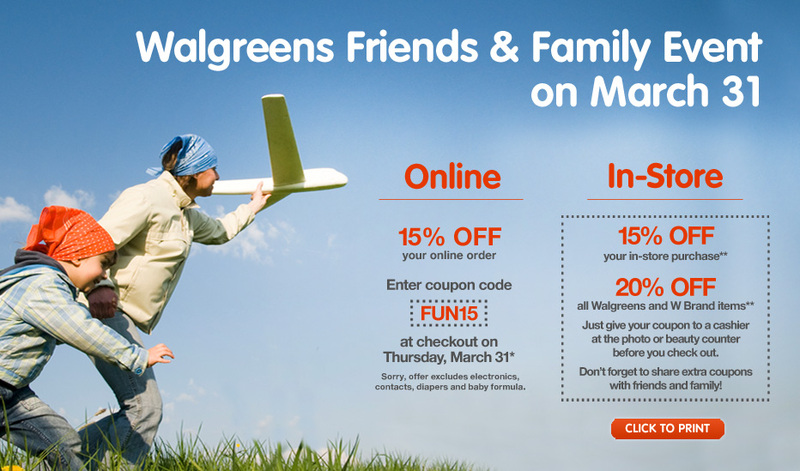 Montebello Mom: Save 15% on any Walgreens purchase on Thursday 3/31! Save 15% on any Walgreens purchase on Thursday 3/31! Click here for more information and to print your coupon!